Earlier in the Spring, we built a small ‘Phoenix’ wood-salt kiln which at 15 cubic foot packing capacity, will be a useful test kiln for new ideas. That is a rather Royal ‘we’, with respect and thanks to Ana and 2nd year Cardiff student Penelope Rudge who laid most of the bricks! 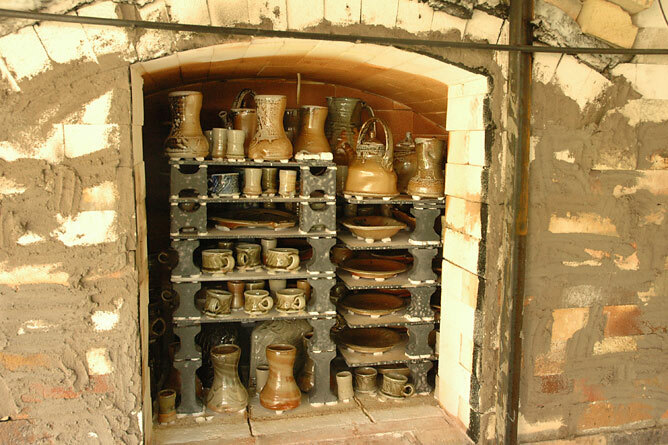 We shall be building a very similar kiln at the International Ceramics Festival in Aberystwyth at the end of June, which we’re very excited about! I will also be showing a selection of best pots from this year’s firings during the event. The first firing of this new kiln earlier this month was a terrific success, easy to fire and yielded some great results.